and imposes itself as a modern classic. The authentic elegance, the style that expresses new forms and imposes itself as a modern classic. From the inventor of the Wedding Book comes the greatest innovation of the century. 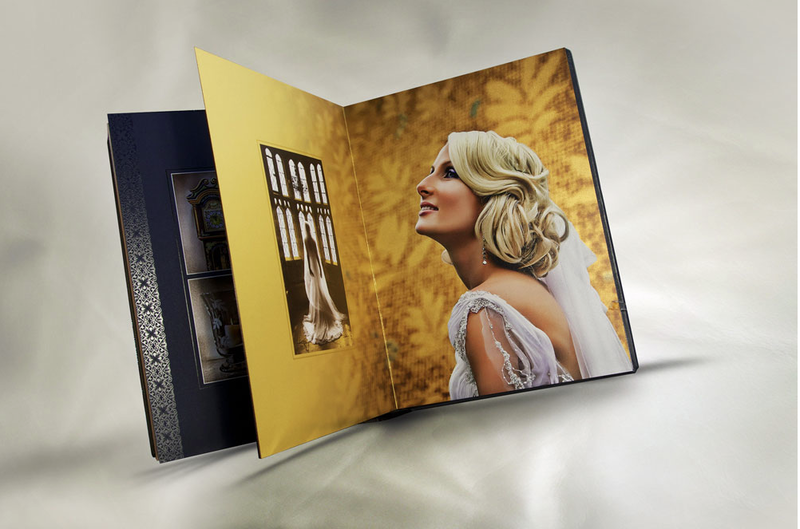 Our brand new Digital Matted Album™ is destined to revolutionize the photographic industry. Nothing will ever be the same. The creative, unlimited possibilities can’t be matched by anything else. 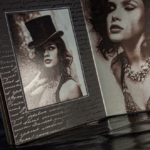 The combination of the different papers, selective coating with custom effects and printing on art mattes and other media allows you to obtain a product unlike anything before. Allow your creativity to flow freely, now there are no limits. The creative process will start by using our Graphisoftware, now specifically updated and enhanced to make the design process easier and intuitive. Today, the Digital Matted Album™ is born, setting new quality standards. A great technological innovation capable of generating an explosion of emotions and feelings, inspiring your clients the desire to possess this truly precious and beautiful item. The pace is nearly cinematographic, the sequence of the events of a special day is brought to life in a variety of the surfaces, different also in the way they reflect light; by empathizing unique moments, or by toning down the atmosphere of a watercolour like sunset, the photographer, the artist, becomes an orchestra leader searching for new harmonies. The return to this new, amazing, classical style lives again thanks to exclusive technologies, to chromatic symmetries created by the tones of the art mattes and to the atmospheres of images which, like in an enchantment, embraces and carries the characters of the story into a world defined by a balance of shapes and colours. The quest for beauty reaches resounding results when it is based on new forms of expression. The desire to go beyond the edge, to get rid of the boundaries that limit creativity, has opened the door to a new, surprising dimension within the most noble domain: classicism. 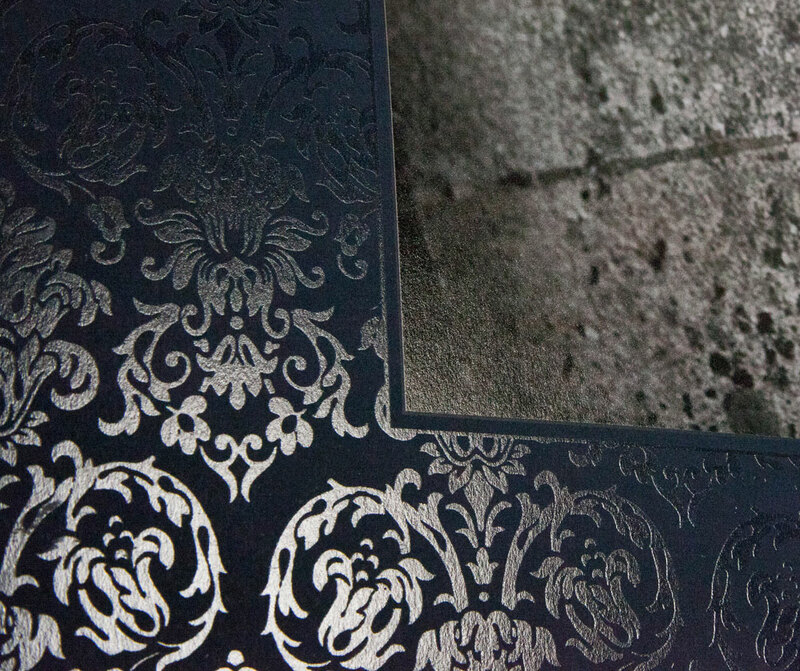 We have literally reinvented the creating, printing and finishing processes of a thousand year old item that is the book, in order to give the right value back to a world too often flattened by the dull and repetitive use of soulless technologies. 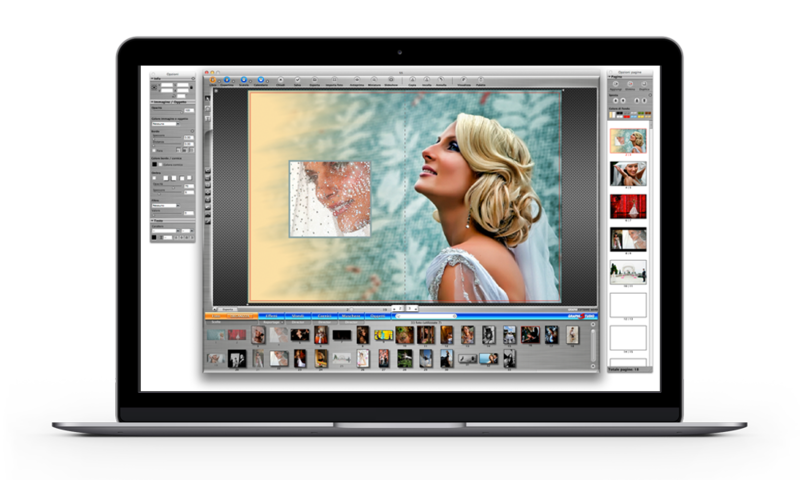 A product like this could originate only from Italy, with Graphistudio being the only Company capable of actually developing it. The technical know-how to project and shape such a book is deeply rooted in graphic arts, a field where Italy has always excelled. 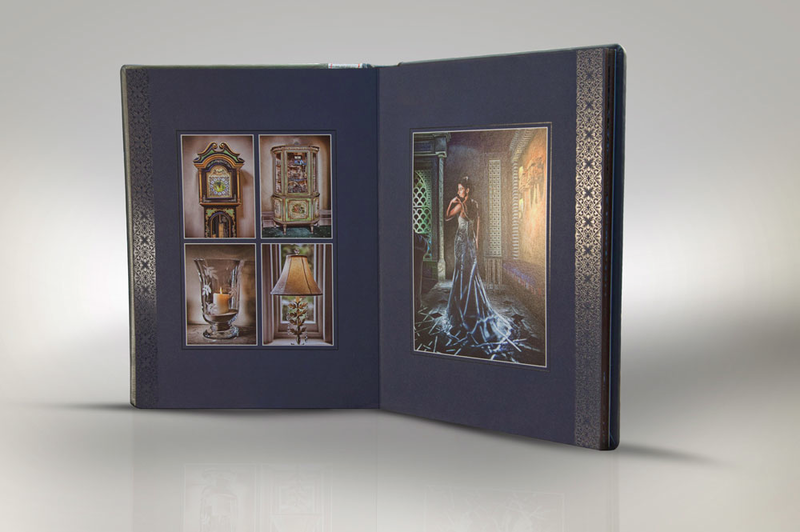 The leather of the covers, the cloth of the inner sleeves, the precious art mattes where the images are skillfully printed on exude history, luxury and high fashion. The ideal parallelism to describe the evocative power of this book is, probably, the dress of your dreams, a princely wedding dress carefully hand made by the most exclusive tailor on earth. No one, apart from the photographers who Graphistudio clients, can provide you with such a new product, and no one would be able to enjoy a more exclusive wedding memento than yours. 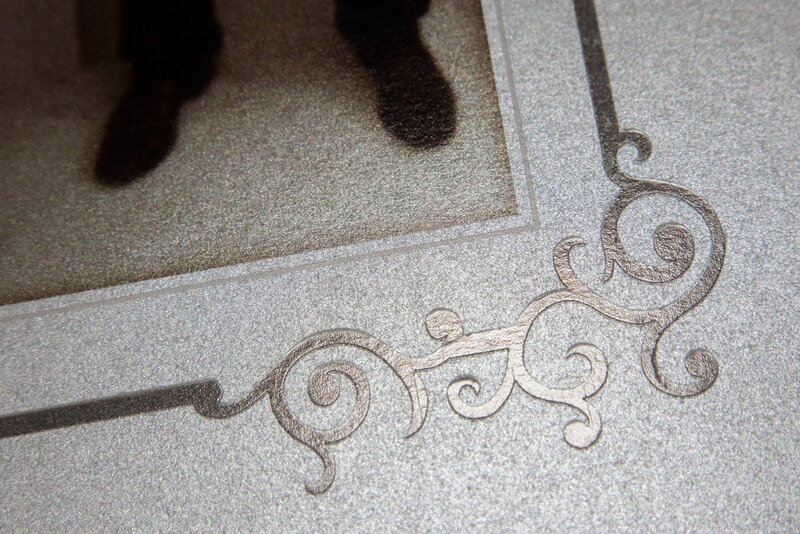 The selective coating perfectly describes an extremely refined editorial process, whose effects look simply unique on the prints. The possibility to overlay one or more layers of paint, with the maximum precision, on every single part of the page, even the smaller ones such as the detail of the dress or the letter of a text bring the viewer into a third dimension. The texture of the material and the opacity of the art mattes contribute to amplify the scenic effect of the selective coating, which returns peaks of light and unbelievable glares on the interested parts. The results literally invite to explore and touch the pages to discover new details that eyes can’t completely appreciate. 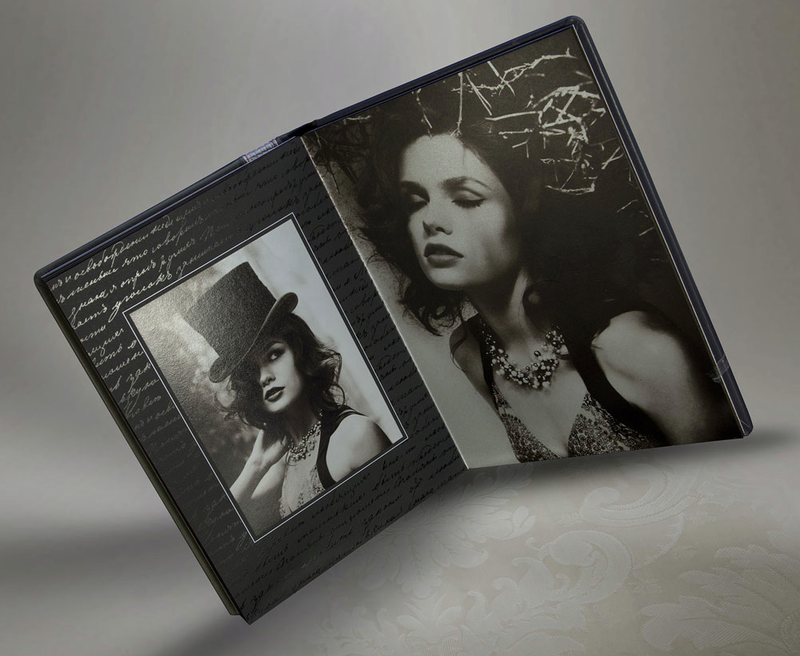 This is the leading version of the DMA: it allows to interpose pages printed on art mattes of different textures and colours with pages printed on photographic or metallic paper. 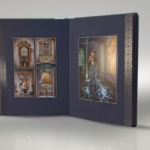 For the first time ever all the substrates, printing technologies and finishing, including customized translucent pages, can coexist in the same album. 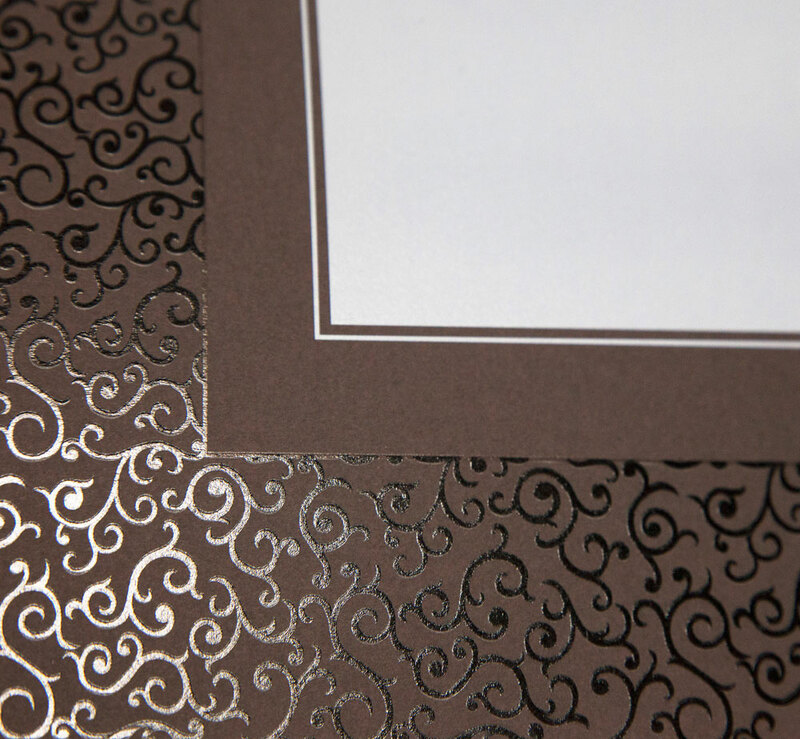 The magic of a page printed on a textured art matt, ennobled by the glares of the selective coating, can be combined with the brightness and extraordinary definition of an image printed on metallic paper, maybe followed by a panoramic print on gold or by art mattes combined together thanks to a contrast of pale and deep shades. The possibilities are endless, the results are simply amazing. Modern classic comes to life again thanks to measured harmonies. Among the wide range of colour options and precious coloured art mattes, only one will be chosen: it will become the theme of your masterpiece. 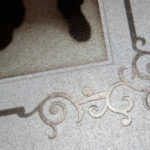 Images printed directly on matt and textured substrates will stand out thanks to the vividness of the colours, and will be highlighted by the glossy background of the covering white. Sharp varnish geometries can frame each picture or make some of their details reverberate, while the translucent pages allow a glimpse of the emotions of the following pages. Choose your colour and be charmed by its vibrations. 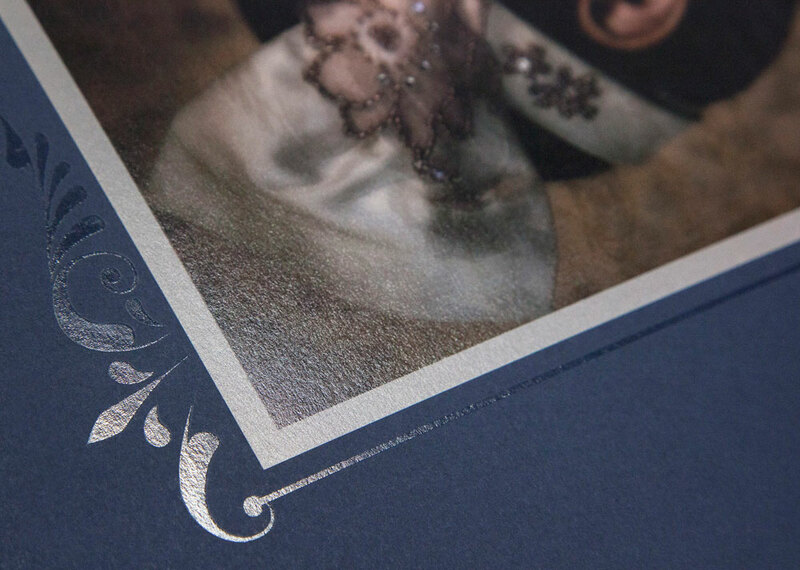 Every background colour can be printed on the velvety white of this art matt, making possible to reproduce most of the tones available for the DMA multi and monopaper art mattes, or to invent endless new shades, maybe perfectly matching the chromatic theme chosen by the couple for their wedding. Thanks to the covering white coating (which come before the actual printing of the image) the brightness is increased: this highlights the picture and, together with the refined touches of the selective coating and of the translucent pages, returns high intensity emotions. White contains all the colours, and in this version it frees them towards an unexpected expressive versatility. Unlimited options, finishing and combinations offer you the best of the Made in Italy quality. 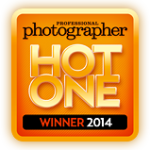 Graphistudio has always offered an immense richness of materials and customizations. 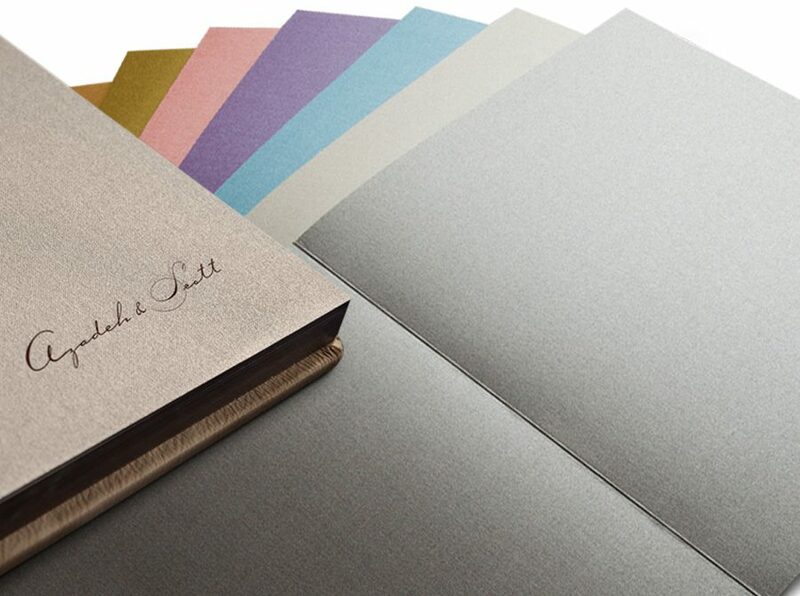 To guarantee their uniqueness and exclusivity, our covers are all handmade in single copy, following the desire and choices made by each client. 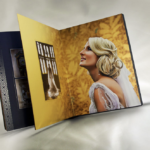 The Digital Matted Album™ is available in the 30×30 cm and 25×25 cm square, in the 25×35 cm vertical and in the 35×25 cm landscape formats. The dream of every creative comes true thanks to the revolutionary tools available for this book. The simultaneous use of a variety of techniques that have never been able to be combined until today, allows you to create fantastic layouts. 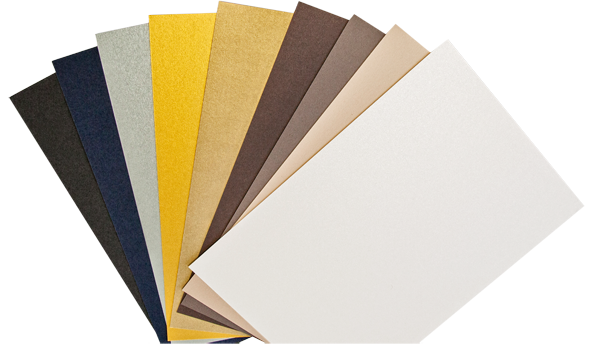 The art mattes, available in the beautiful shades of brown, beige, blue, gold and white and the pearl, photographic and metal papers, with either the satin or the glossy lamination, are all available and can be chosen at will. The book can therefore be printed completely on one typology of paper only to obtain a classic result, or on a mix of various options, playing with harmonies and contrasts to obtain unforgettable pages. 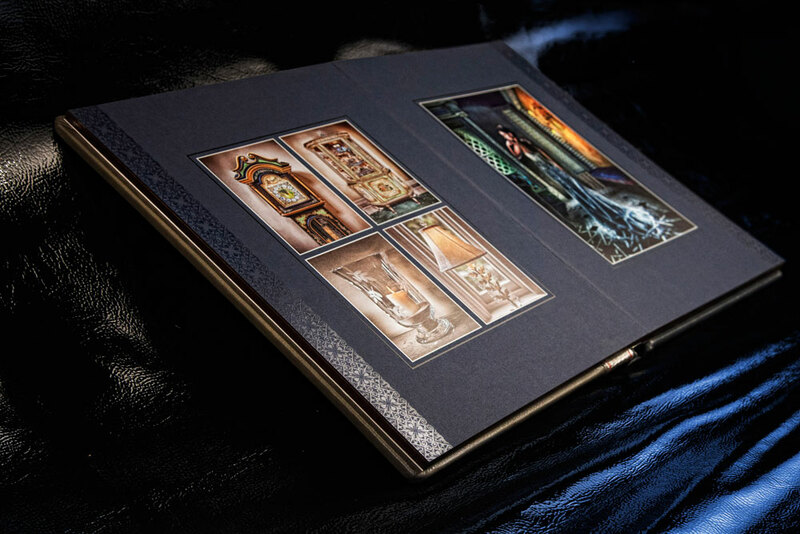 For the first time ever on a digital book, translucent pages can be added to the product. Extraordinary, charming and customizable also by using a selective coating. 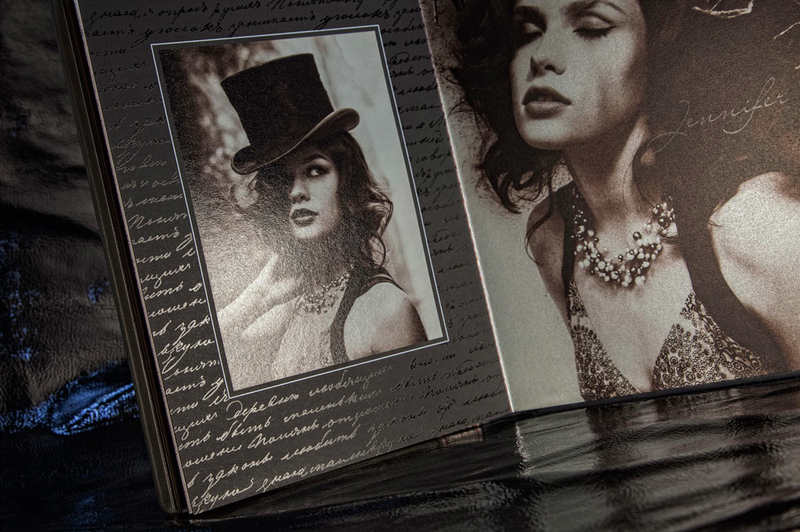 A touch of class with an antique flavor that elevates the emotional level of the book, making it even more precious. 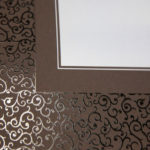 The accurate preparation and attention to detail is what distinguishes a quality product. 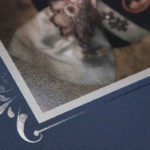 Among these details, one of the most important is the lining: its colour guarantees the harmony between the outside and inside of the book, and its texture creates a balanced link between the precious cover material and the finished pages. 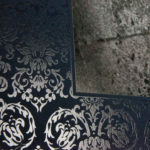 Apart from these aesthetical reasons, the linings play an important role in the mechanical connection between the cover and the block of the book. For this reason only the best cloths are used to fulfill this essential function. The colour palette is extremely wide, as is the refined choice of the spun cloths available. The adjective “impeccable” is a seal that can’t accept details to be left to the chance. Thanks to the colouration of the three visible faces of the block, these parts, so difficult to be perfectly included within an item of design, become actual components of the Digital Matted Album™. 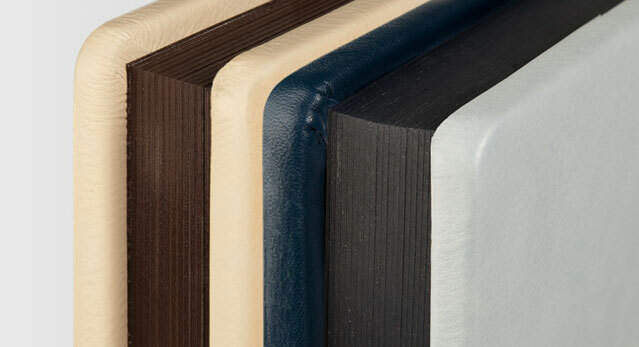 The shades, harmonically matching the covers and linings, invite your eyes to caress this book from each angle. Sharing the most treasured moments with your loved ones is an intense and universal desire, especially when this unrepeatable combination of emotions and art constitutes the visual story of the wedding. The parent and pocket books have been specifically created to fulfil this desire. The background colour of the art matt, the meticulously reproduced effects of the varnish and the perfectly scaled down proportions of every Graphistudio book allow the printing of amazing small copies, without the need to adapt or change anything of the original files. Available from the enjoyable 20×30 cm size, which can be dressed with a cover identical in material and layout to the one of primary book, to the surprising 4×6 cm, a real miniaturization masterpiece. You will never part company with them. 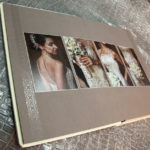 The opportunity to bring an exact copy of the wedding book with you in the purse or in the jacket is simply too tempting. Not to mention these pocket books offer the chance to present friends with an unmatchable memento to thank them for attending your wedding. Pocket books are available in three different sizes, each with its own specific quantity: 9 10×13 cm copies, 15 6×9 cm copies or 30 4×6 cm copies in vertical, square or landscape orientation. 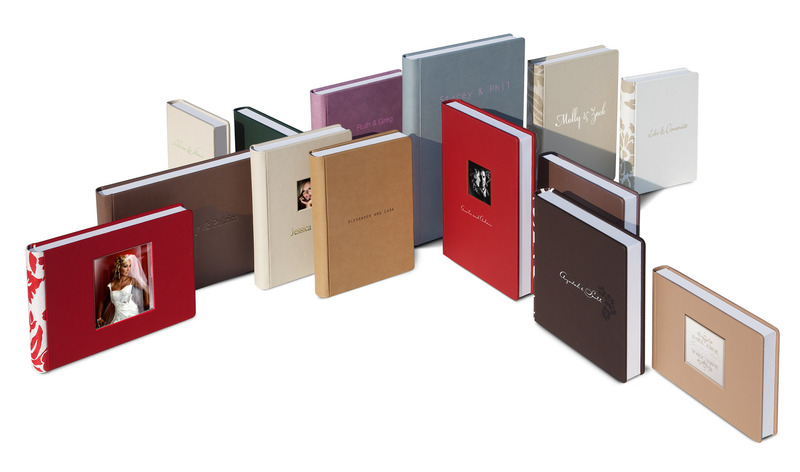 They are printed on smooth paper, with perfect binding and soft cover. 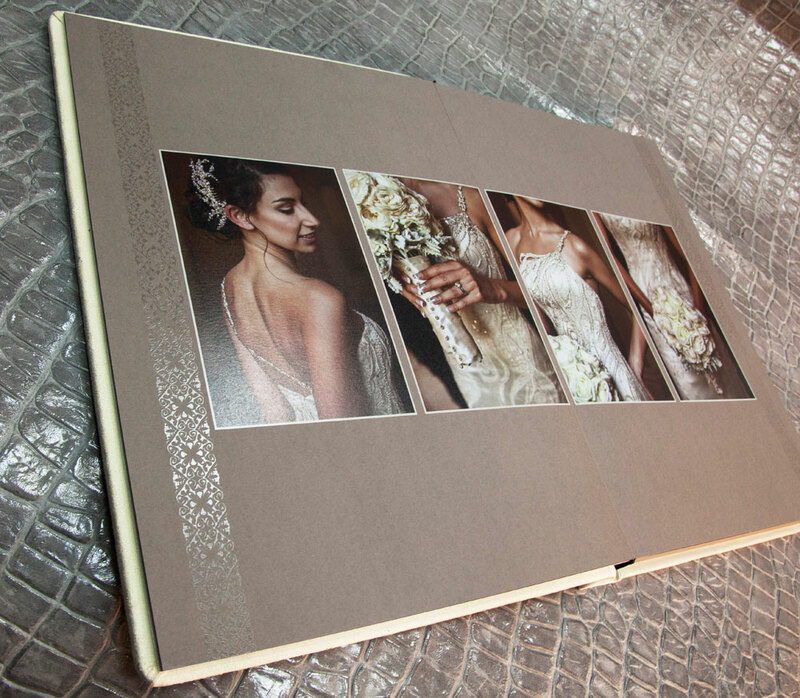 Every Digital Matted Album is delivered in an elegant, made to measure, case, lined with a special Touch finished paper which makes it enjoyable to caress. 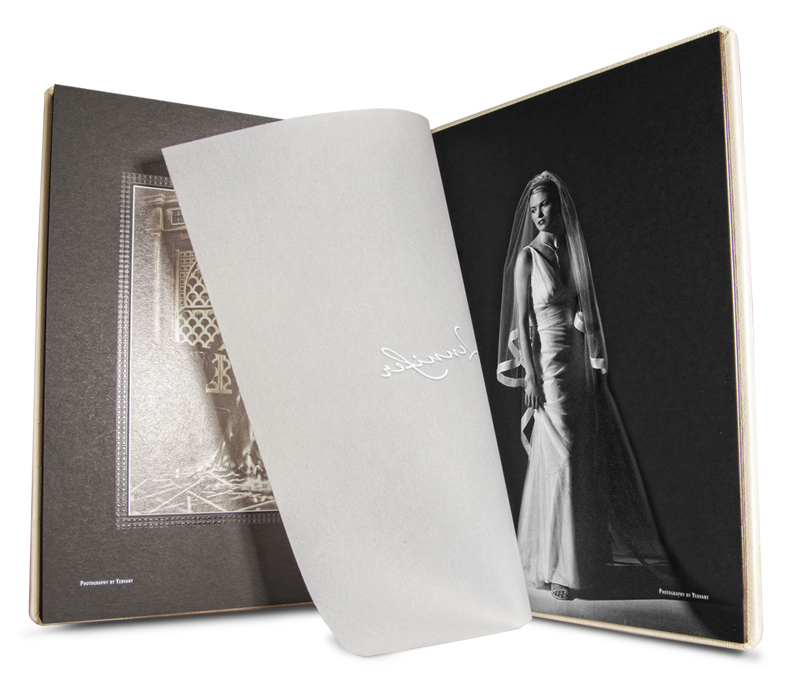 The book is perfectly encapsulated and protected by a precise magnetic closing system and can be lifted easily thanks to a satin ribbon. Each case can optionally be customized with the colour overprinting of names, date or any other text. 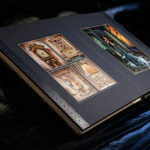 Alternatively, the full range of our sleeves, boxes and briefcases is available for the Digital Matted Album as well. now there are no limits. The creative process will start by using our Graphisoftware, now specifically updated and enhanced to make the design process easier and intuitive.